Still, general knowledge on the subject is rather incomplete and heavily biased in several aspects. Most of the arti cles have been authored and co-authored by very few persons or research teams. Thus, 31% (410 out of 1,300) of the scientific papers bear a signature of one or more of just five authors (Bennett, Burda, Heth, Jarvis, and Nevo), while the most influential of them, Eviatar Nevo, has authored or co-authored 225 of them. As a consequence—since every scientist observes the world through her/his own eyes and is constrained by her/his own research possibilities (professional training, knowledge and experience, interests, affiliation, geography, available funding, etc. )—the research has many biases. Although the validity of the published data and findings is not questioned, their interpretation may be influenced by science's limited knowledge and/or ideology molded by the philosophy of the author and the world she/he lives in. However, this is a general problem of scientific research. 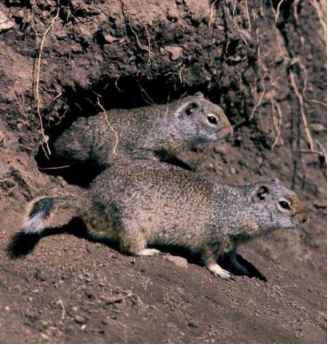 vole (Arvicola terrestris), and pocket gophers (Geomyidae), have been studied to a much greater extent than considered here; yet most of the earlier studies on these animals have not specifically addressed subterranean adaptations. Usually, few species within (mostly) speciose genera have been studied in only a few localities within a broader geographic and ecological range of distribution. Studies are biased also as to which aspect of biology (and from which point of view) has been investigated. 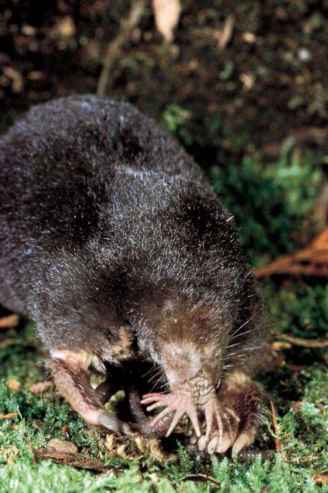 Thus, the (about 150) articles on the naked mole-rat (Hetero-cephalus glaber) primarily concentrate on the spectacular social behavior of this species, and some authors are prone to think of the naked mole-rats as if they were the only subterranean mammals. In spite of the fact that the naked mole-rat has attracted such intense interest by sociobiologists, only some 7% of all studies published on this species involved field ecological research and/or investigation of wild-captured animals. Most information on (social) behavior of the naked mole-rat has been based on the study of captive colonies. 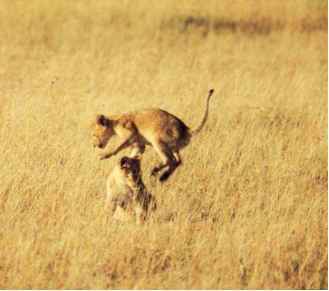 Yet, as S. Braude has demonstrated recently, long-term intensive and extensive field research may lead, at least in some aspects, to different results than the short-term study of captive animals. Interestingly, the problem of why the naked mole-rat is hairless (on both proximate and ultimate levels) has received very little attention from scientists. Similarly, although the question of whether subterranean mammals are blind or not (and if so, why do they still have miniscule eyes?) has been pertinent since Aristotle, the answer for most species is not yet known.